This is an existing business. The franchise is so confident in your success it is offering a $20K incentive package and waives your royalties for the entire first year! This franchise is a leader in marketing and advertising, often ranked #1. They have a NO COLD CALL program. Franchisees are marketing consultants to local, community-based businesses. They use our cutting edge marketing tools and technology to develop direct mail and internet advertising campaigns that help business owners target and retain more of the right customers. As an area developer you will be responsible for multiple territories and their respective sales force. This is a B2B model, home-based with turnkey lead generation including an assigned business coach for the entire first year of operation. Income is derived from pre-approved national accounts and regular customers. 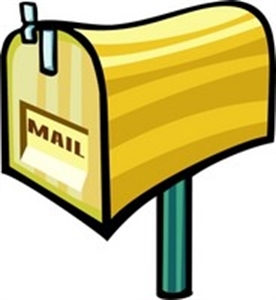 Products include direct mail coupons, individual business coupon mailings, internet coupons and cell phone coupons. Business cash flows on the first mailing and can be scaled without multiple territories or hiring a huge staff. Rock solid financials, 28 year track record, system-wide sales over $100 million, exceptional validation. They provide unique products, cutting edge marketing tools and patent-pending technology to build long term competitive advantage. THIS $20K INCENTIVE PACKAGE INCLUDES: Lead Generation, Appointment Setting, Royalty Waiver, Production Credits, Hiring Assistance, Grand Opening and Administrative Assistance. Please respond with your full name, address and phone numbers. No students or brokers please. The information contained in this ad does not constitute an offer to sell or award a franchise. Such an offer can only be made in compliance with applicable disclosure laws. Offerings are made by Franchise Disclosure Document only. Location and Facilities: Work from your home office. Exclusive territory includes 156K prime households. 5 Different Revenue Streams with lots of opportunity for sales growth.